Not only will we be dancing all weekend long but some special guests will be joining in to get (and keep ) the party going. DJ Guelas (pronounced “Geh-Luss”) is one of the most prominent personalities in the African immigrant entertainment community, with fifteen years of experience in spinning music. His collaborations are a who’s who list of the Afro-zouk and Kizomba world of celebrities. Some of these notable names include Kaysha, Nelson Freitas, Ali Angel and Susana Lubrano. Guelas is an award nominated international DJ. From Lisbon and Rome to San Francisco and Washington, D.C., Guelas has attracted fans from across the globe with his diverse and exciting DJing sets. 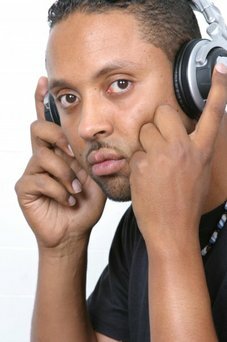 Born to Cape Verdean parents in Lisbon, Portugal on December 21, 1974, Luis Miguel Silva Monteiro, commonly known to his fans as DJ Guelas, is a phenomenon in the world of Afro-Zouk and Kizomba music. His passion for music began at an early age as he listened to his parents’ favorite albums from Cape Verde, Brasil, and United States, which included Morna, Coladera, Samba, Rhythm & Blues and Jazz. At the age of eighteen, Guelas immigrated to the United States. His curiosity and interest in spinning music began in the winter of 1997, after frequenting the local club scene in the New England city of Providence, RI and also in Lisbon, Portugal. 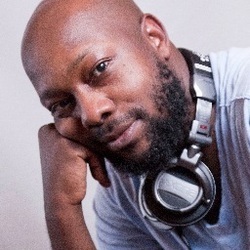 He made his DJ debut in May 1998, at a local club in Providence. As a result, he was invited by the promoters to remain as a resident DJ. Since then, his career has taken off to exciting heights. DJ Guelas has played in venues in several cities including New York, Boston, Atlanta, San Diego, Washington, D.C., Mindelo, Paris, and Rome. Some of the most distinguished places Guelas has played are SOBs (Sounds of Brazil) and Club Kilimanjaro (the mecca of African music in the U.S.), both in New York City. Guelas has also played in Paris at Palais du Congrais and Palacio (the mecca for Caribbean music in Paris) as well as Mussulo in Lisbon. DJ Guelas is a founding member of the popular U.S.-based DJ group, Lights Out, with DJ Baby T, DJ Lefty, and DJ Chris. Founded in 2005, Lights Out’s mission is to expose and promote music artists, including DJs, in Cape Verdean communities and incorporate lusophone music in major worldwide markets. Since its inception, the Lights Out group has released over nine CDs and one DVD. They have toured various European countries as well as Brazil and Cape Verde promoting their work. The Lights Out DJs also launched crioloradio.com, a 24-hour online music radio station. Audiences can enjoy the sounds of and interact with each DJ on a weekly basis and in real time. DJ Guelas’ weekly show, Lusophone Vibes is on air Tuesday nights on crioloradio.com with audiences in all major continents. As a member of Lights Out DJs, Guelas was nominated for “Best DJ” for the 2011 and 2012 Cabo Verde Music Awards. As Afro-zouk and kizomba music and dance become more popular among world audiences, Guelas continues to play at diverse venues in the United States and beyond, promoting and lecturing about the history of these music genres. His future projects include producing artists and becoming actively involved in projects that support music education initiatives, especially in his parents’ native country, Cape Verde and in the Cape Verdean communities in the U.S. Guelas has visited many schools in Cape Verde to talk to students about the importance of staying in school and working hard in order to pursue a music career. Oscar B.A is one of the pioneer ambassadors of Kizomba in the US. Currently based in the Washington, DC area, he has taught Kizomba workshops in some of the biggest Latin Dance festivals including the DC Bachata Festival, Flirt Seattle, Reno Winter Bachata Festival and the San Francisco Kizomba Festival. A sought after nonpareil dance instructor, he has been invited to run Kizomba boot camps by dance companies in Los Angeles, CA, Seattle, WA, Reno, NV and more. Oscar currently teaches the longest running Kizomba dance classes in the DC, MD and VA Metropolitan area. Oscar's career spans over 16 years as a dancer, choreographer and instructor for several dance disciplines such as African dance,hip hop and latin movement, In the US he has also added American style ballroom, and rhythm and Latin dances to his repertoire . Oscar founded the premier dance company Ollover! in his native home, Kenya. He then went on to revolutionize arts and entertainment in Kenya and in the surrounding region of east and central Africa. From the bolero and Viennese waltz to traditional African dance and the hustle, from hip hop choreography and bachata to merengue and Kizomba, Oscar B.A. is a master dancer, teacher, choreographer and performer.